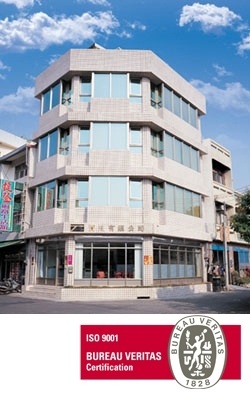 Tzychuan Co., Ltd, was set up by Foster Wang in 1983, and has been dedicating to the development and distribution in food additives and flavours for more than 30 years. The company is located in Pei Kang Jann, Yun Lin Hsien. With the most humane internal office facilities, it offers all Tzychuan staff the most comfortable working environment. The sales network of Tzychuan has spread throughout Taiwan, U.S.A., Japan, China, Southeast Asia, Australia, New Zealand, … etc. and has already come out with very good turnover. To be a leading company in this field in Taiwan and to be a famous, bright and successful company in the world are our ultimate goals. We have been an ISO 9001:2008 certified company since 2003. Our efficient and outstanding team will always be at your disposal to provide you with the best quality of service and assistance.